Eclipse Senior Living is beefing up its independent living side in a management deal with Apollo Global Management that includes 15 properties and the launch of a new senior living brand. The Lake Oswego, Oregon-based company said Monday it had taken on the management of 15 Apollo communities formerly operated by Brookdale Senior Living (NYSE: BKD) and scattered across Florida, Washington, Texas, West Virginia, Ohio, North Dakota, Illinois, New York, Mississippi, Oklahoma, Oregon and Wyoming — plus two more set to come on board in November. Eclipse will package five of those new communities under its new independent living brand, Embark by Eclipse Senior Living (pictured above). The rest will be added to the provider’s existing Elmcroft portfolio, which focuses on assisted living and memory care. The deal grows Eclipse’s total senior living management portfolio to 101 communities across 27 states. Earlier this year in January, Eclipse assumed management of 76 private-pay senior housing communities owned by Ventas (NYSE: VTR). Eclipse Senior Living is jointly owned by the Chicago-based real estate investment trust (REIT), which has a 34% stake in the company. Eclipse management owns the remaining 66%. With the Embark and Elmcroft names in tow, Eclipse is now a multi-brand senior living provider — a major goal for the company, according to CEO Kai Hsiao, who joined Eclipse upon its formation about a year ago following leadership positions with Holiday Retirement, HCP (NYSE: HCP) and several hospitality organizations. 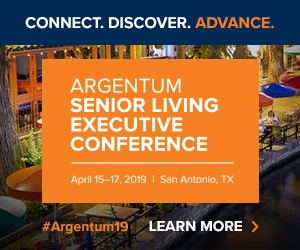 In some ways, the senior living provider is starting to resemble a large hotel company, with multiple brands in its wheelhouse geared toward specific kinds of consumers. The new Embark brand will focus on middle-market independent living options for older adults, and will be priced “competitively,” Hsiao said. Though the provider will start with just five communities under the Embark banner, the overall plan is to add more in the future. Meanwhile, Eclipse will continue to beef up its Elmcroft portfolio where opportunities arise. And the company likely will add more high-end brands to its overall senior living portfolio in the future. The senior housing industry is 10 and 20 years behind the multifamily and hospitality sectors, respectively, in terms of structure and innovation, Hsiao said. With that in mind, it makes sense for a senior living provider such as Eclipse to follow the hospitality industry’s lead on some things. In its operating model, Eclipse has so far placed a high priority on creating a tech-forward operating platform in order to attract a more diverse group of consumers to senior housing. That should continue into the future as the company seeks to add more communities to its portfolio and build relationships with new and old partners. Moving forward, the company will continue to scale up as it has since it first started to come together roughly one year ago. For Hsiao, who worked as the CEO of Holiday Retirement from 2013 to 2015, scaling isn’t as daunting of a task as it might normally be for a less experienced senior living operator. And he’s joined in the C-suite by his former Holiday colleague Shamim Wu, who is Eclipse’s COO.